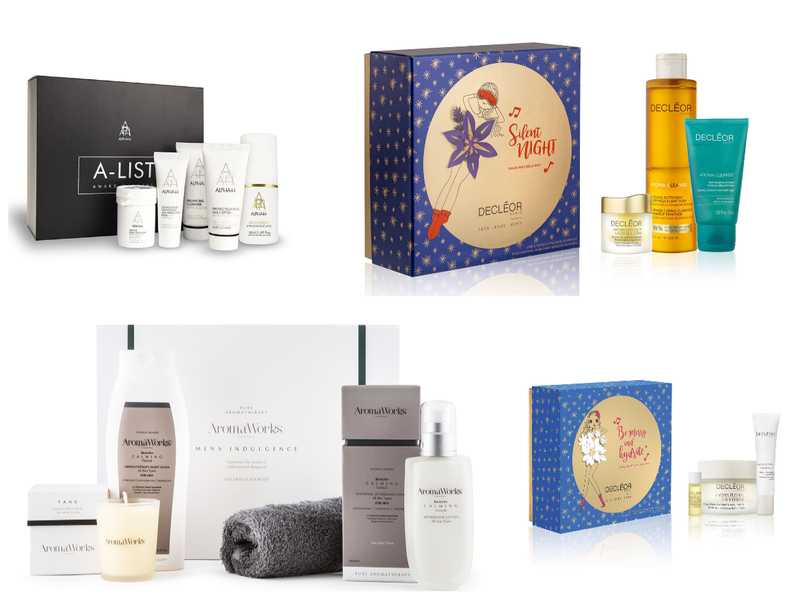 www.cosmeticsonline.ie launched this autumn with some amazing deals and special discounts site-wide, including their high end beauty brands such as Elemis, Alpha-H and Payot and who can resist checking out the gift set section on a beauty site at this time of year?! Some of my top picks from the gift set section include items from Decléor, Aromaworks and Alpha-H.
Alpha-H is a pretty new brand to me, I've dipped my toe into the cult product; Liquid Gold in the past and been super keen to try more from the brand so when I spotted The Essentials Collection, gift set from Alpha-H was included in their 20% off launch discount offer (Use code "Launch18") I just couldn't help but spread the skincare love. 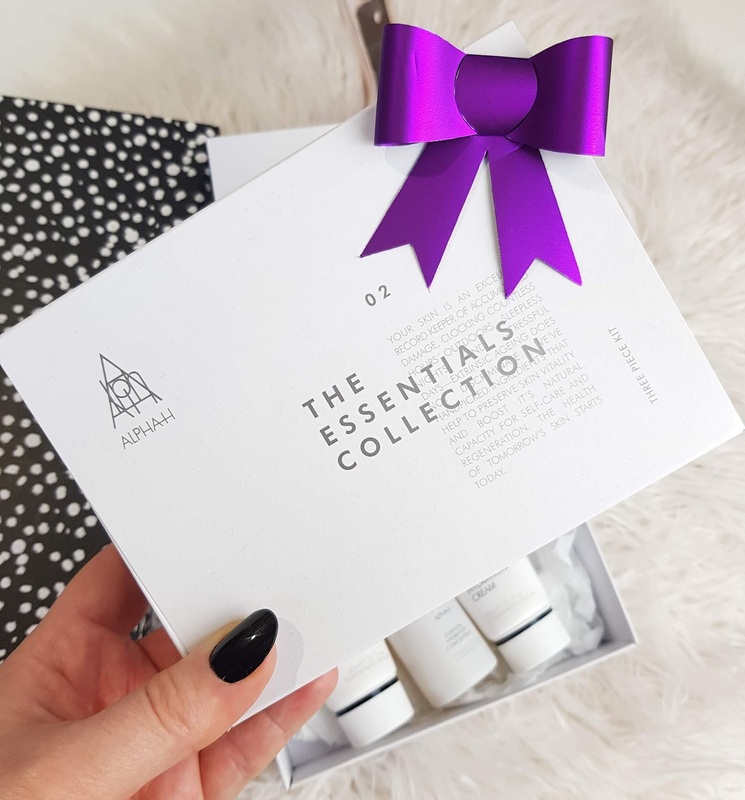 This gift set would make the ideal addition to any skincare junkie's Christmas stocking this year, not only is it super cute but the set has three beautiful products inside that I've been trialing and loving recently. 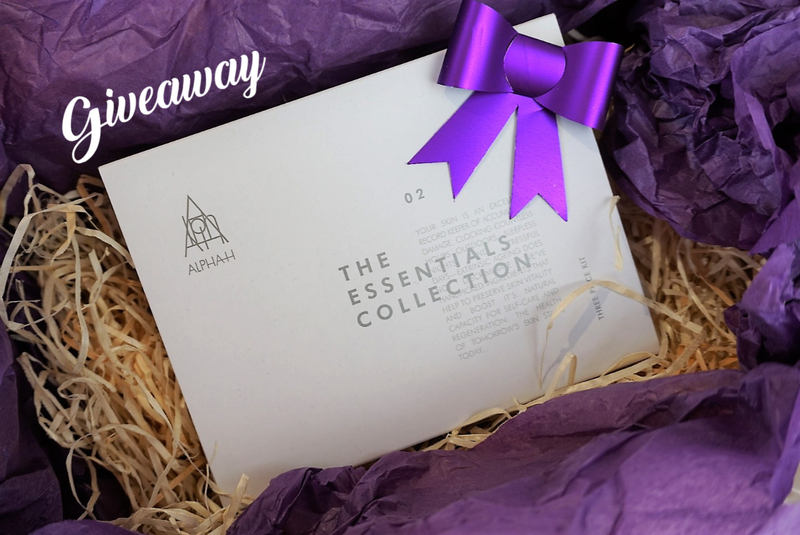 The Essentials Collection by Alpha-H* is currently €49.99 and you can get 20% off (Use code "Launch18) plus free shipping on all orders over €30 right now so this set works out at just €40 or £35 Sterling. Essential Cleansing Balm (30ml): "Infused with a cocktail of essential oils, including Sea Buckthorn, Rosehip and Geranium, the nourishing formula gently melts away makeup and impurities to leave skin feeling smooth, fresh and clean. Combining the benefits of a cleanser, toner, makeup remover and soothing balm, the 4-in-1 product delivers long-lasting moisture and hydration, whilst repairing and strengthening dry, wanting skin." Essential Hydration Concentrate (25ml): "Harnessing the powers of nine nurturing plant oils, the vitamin-rich formula soothes and repairs dry, mature and sun damaged skin, whilst providing antioxidant protection and helping to combat premature signs of ageing. Expertly blended with Rosehip, Geranium and Calendula Oils to replenish and hydrate your complexion. Ideal for use during periods of seasonal change to prevent moisture loss." Essential Hydration Cream (30ml): "A lightweight, soothing formula that helps to nourish and protect dry, sensitive skin. Infused with a host of beneficial ingredients, including Evening Primrose Oil, Ylang-Ylang and antioxidant Vitamin E, the aromatic cream absorbs quickly into skin to bring immediate comfort and relief. Ideal for broken capillaries, redness and irritated or sensitive skin in need of moisture and repair." 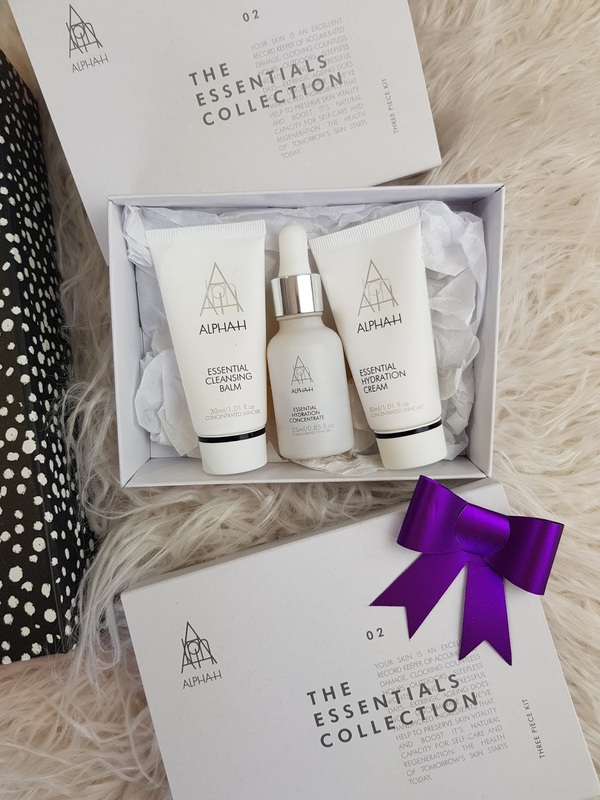 To celebrate the launch of www.cosmeticsonline.ie, the lovely team have very kindly gifted me with another Alpha-H set to give way. So, if you want to be in with a chance of wining, just check out this post over on my Instagram feed and follow the steps to be in with a chance of winning.